Hallway stained glass is a beautiful touch that can be used to elevate the style and feel of any hallway with a window. Hallways can be a real decorating challenge, especially if they are small, narrow, or dark. If there are windows, homeowners don’t want to cover them and block any of the natural light entering from the sun, but at the same time, they might want more privacy. Or they might want to block that not-so-lovely view of the next door neighbor’s garage or siding. 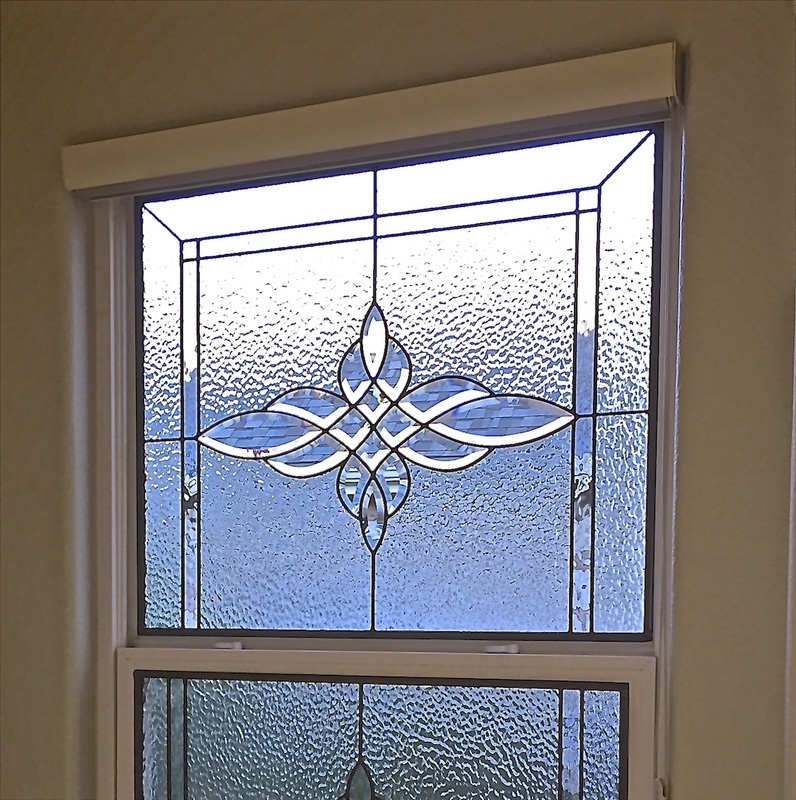 With hallway stained glass, your windows remain fully functional. They let in the light that the architect intended. And they can give you the privacy you need, or replace a not so appealing view with something much more beautiful to look at. 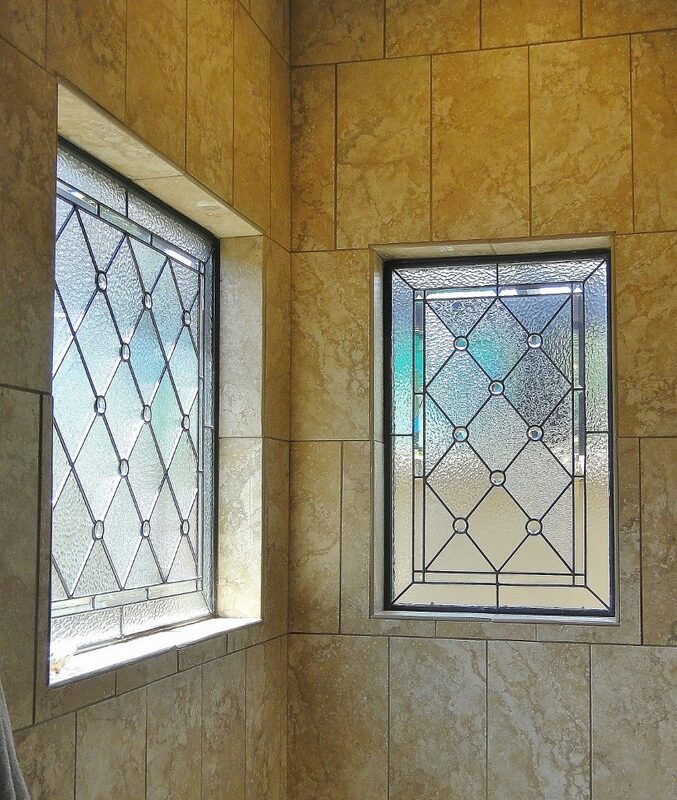 So our custom designed and hand crafted stained glass windows can afford a home both more privacy and more light (if you’d been previously covering that window with a shade or curtain.) And, they are quite traditional for hallways. 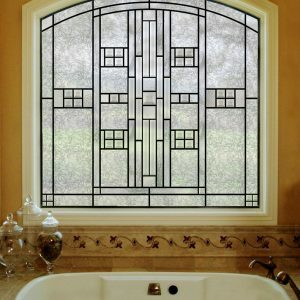 With hallway stained glass, the windows can easily be customized to tie the hallway in with the home’s period or architecture, or the style and décor of the rest of the home. We create our hallway stained glass individually for each client. Customers have the opportunity to look through a wealth of different styles and options and choose what they like, or bring us their own ideas. Or any combination thereof! Whereas one client might prefer leaded and beveled stained hallway stained glass, to add incredible elegance, another might request an antique design or even a replica from one of the antiques in our collection. And yet another might want something geometric and colorful like a Mission style window. 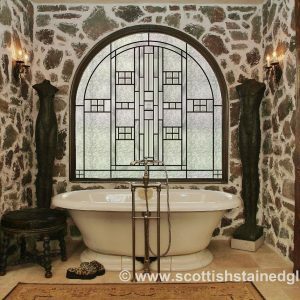 Click here to see some of our many stunning examples of leaded and beveled stained glass. Click here to see some of our many stunning examples of antique stained glass. 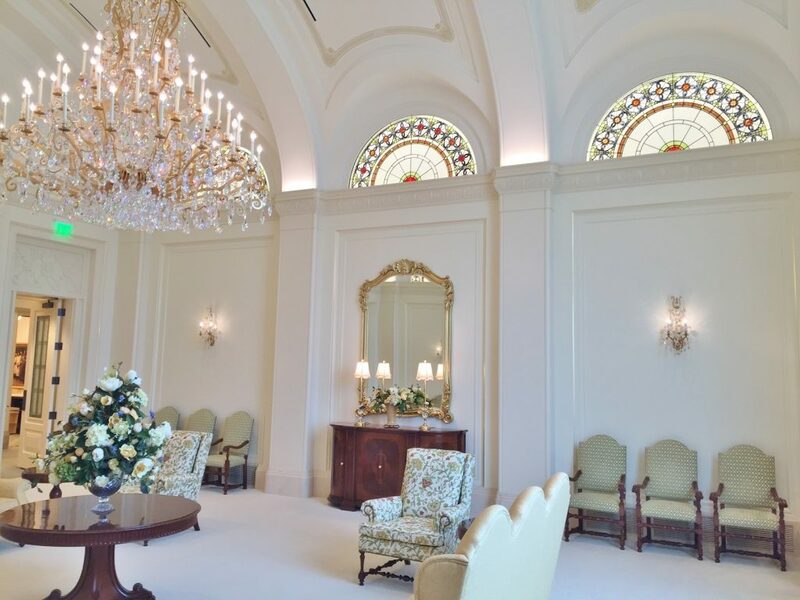 Click here to see some of our many stunning examples of Mission style stained glass. Which can you imagine in your hallway? 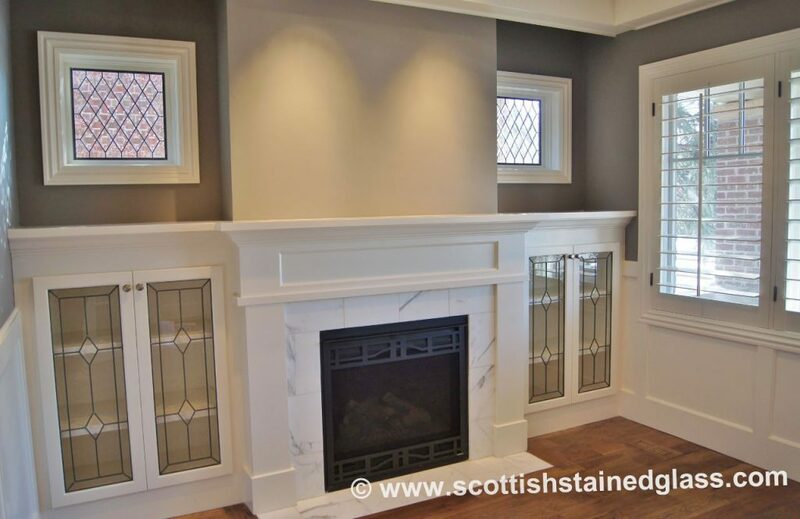 The fact is, when it comes to custom designed, hand crafted hallway stained glass, there are no limits as to the style, the pattern, or the types of glass. You choose what you like best! And those certainly aren’t the only styles we work in. 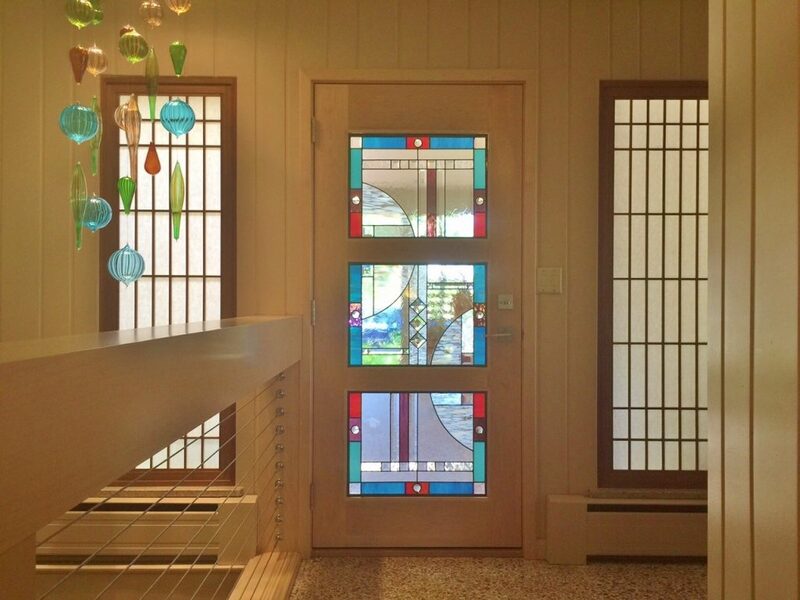 For more information about custom hallway stained glass, why not give us a call today? We can talk to you about pricing, answer any questions you might have, or set up an appointment for you with one of our talented stained glass designers, right in the privacy of your own home. Or please contact us via our convenient and quick online form.